This is an ALMA image of the distribution of the organic molecule HNC in the upper atmosphere of Saturn's moon Titan. The denser, brighter concentrations are shown near the moon's north and south poles. 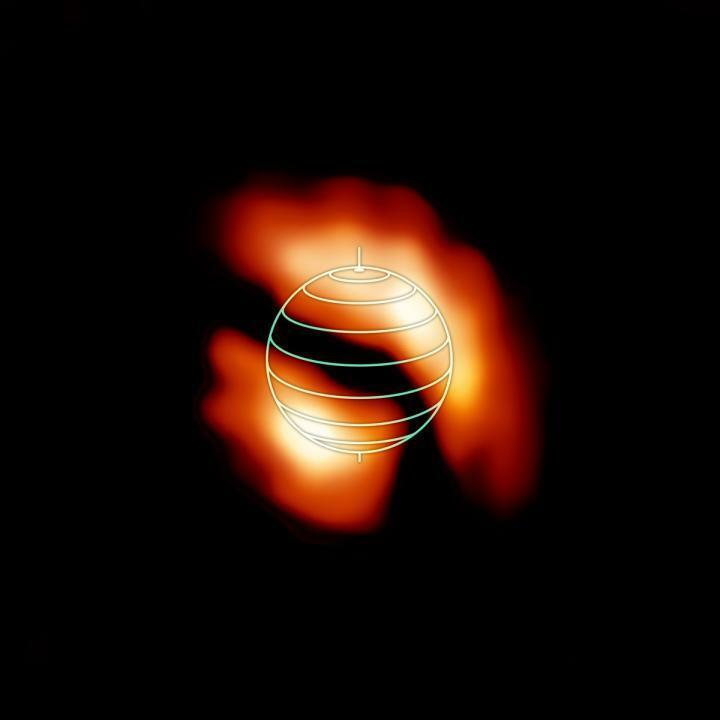 Their shifted, off-axis locations were unexpected and could help researchers better understand Titan's complex atmospheric processes. The globe outline represents Titan's orientation at the time of the observations. 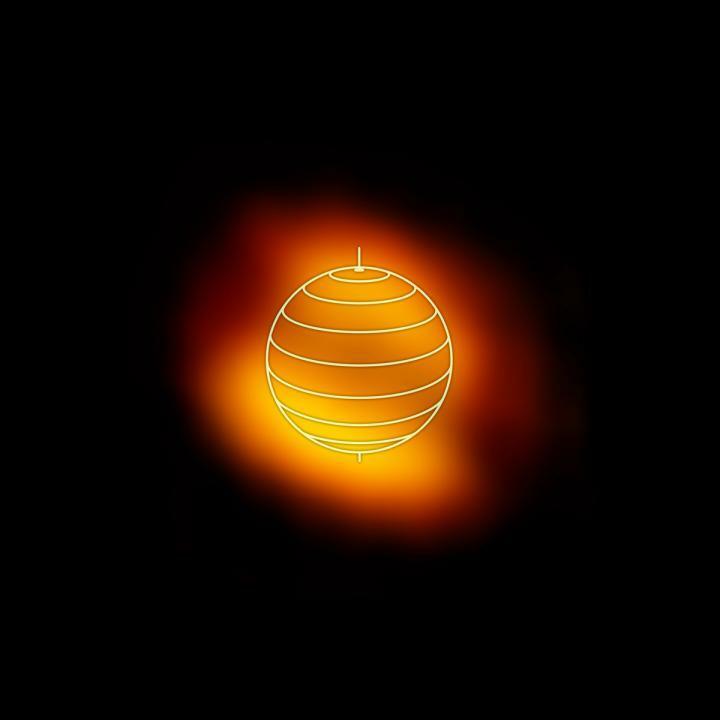 This is an ALMA image of the distribution of the organic molecule HC3N in the upper atmosphere of Saturn's moon Titan. The denser, brighter concentrations are shown near the moon's north and south poles. Their shifted, off-axis locations were unexpected and could help researchers better understand Titan's complex atmospheric processes. The globe outline represents Titan's orientation at the time of the observations.